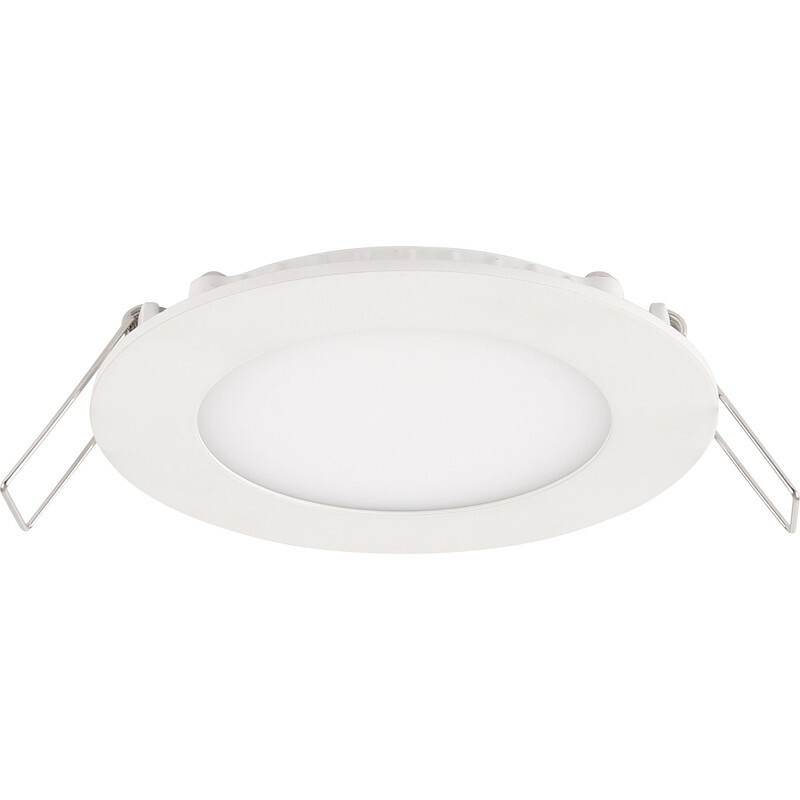 LED Slim Round Panel Light 8W 520lm A+ is rated 4.6 out of 5 by 21. Rated 5 out of 5 by Ianwr from Good light colour and intensity. Easy install. Installed replacing old PL18w fittings in reception area, now using half the electricity and a brighter and nearer daylight colour. Good value. Rated 5 out of 5 by Davidbd from good light Easy to fit, shallow depth good light output and still working after 18 months! Rated 3 out of 5 by Cry baby from Good light jsut bought these as I've used this make in the past, but this model is a different puppy the retaining springs have come from a bear trap i think. Far to strong for the lite body. Also the lugs that retain the spring cant cope with the pressure, so the springs jump off just as your seating the fitting (not good in a celling space) a few angry moments. Rated 4 out of 5 by Big Marky from Great light. Bought 3 of these slim line LED fittings, very easy to fit, great light coverage I now no longer have a dull hall. Time will tell if they last. So much light for so little power. Rated 5 out of 5 by Ahmad2 from Excellent Lights We purchased these to replace out suspended ceiling modular tube lights. They were using 72w and these give about the same amount of light output but only 18w, we've put an extra light on a panel next to it. Great quality and great price, fitting is a breeze making it a great buy.